If you are never the romantic husband, then it's about time to learn how to be one. Maybe the passion you once had for your wife is started to drift away, the tools you once used start to get rusty and out of tune. It’s about time you get those courting skills back on its track. Being a romantic man is simple in many ways. You are to design scenarios that show that you care and thoughtful, which then will create the romantic atmosphere. You are doing it for her, consider what you are doing with your love in mind. Here are some tips on how to be romantic with your wife. Flower shouldn’t be reserved as your solution for gifts during special occasions such as Valentine’s Day or her birthday. Send an arrangement of a dozen daisies to her workplace with a short note that reminds you why you love her. If your wife gets suspicious, then you probably should do this kind of thing more often. Some things money can’t buy is love, but it does help to make existing love to last. It’s not that you should buy her a new jewelry just to show your affection for her. Try engraving a message to one of her favorite jewelry (cliché sweet message works if you aren’t creative with words or engrave your couple initials on it). It’s an interesting idea, to have your special day broadcasted all over the town. If your wife is a regular listener of a radio station, call them up and arrange a happy birthday message for her. It will be quite a surprise for her, then afterwards, you call her up and personally do your own piece. Just make sure your love is tuning in that station. Be spontaneous about this. All you need is some food, a bottle of wine and a location, be it the park, a beach or even just the yard of your house. It’s simply one of those intimate activities. Sit beneath the blue sky having the heart to heart talk, while enjoying an excellent glass of wine and some sandwiches. All you need is each other, time alone together away from life distractions and enjoy the one-to-one moment. In the age where the art of letter writing is slowly becoming obsolete, personally inking away your thoughts and heart becomes more romantic than ever. It’s permanent, personalized and whatever you wrote, she will still read and treasure them. It doesn’t have to be ballet. Get her to a live theater show on something you would enjoy. It’s more exciting that going to the movies and just makes you feel more cultured. Buying the tickets itself shows an active affection on your part. Unless your wife is not the type that enjoys these kinds of things, you probably could spend it on a nice evening meal together instead. That cliché quotes that you can find everywhere on the internet puts what you can’t seem to express into words. Collect the romantic quotes and print out the ones you like best. Cut out each and every one of them, then tape them all around the house for your wife to find. If you can’t express your love, get someone else to do it for you. If you hadn’t noticed, most of the gift ideas in this list are personalized, it’s the best way to show affection and that you care. Prepare a gift basket filled with scented candles, chocolates or those bath bombs that’s been a rave all over, whatever you think will give her the perfect weekend off. Take your time to decide on the items, after all, you are doing it for her. Sit down and share the missions you are going to have in your family. Think of the expectations of the marriage and future family. Having a goal to the direction of where the family is going to be together is crucial to keep you guys on track. 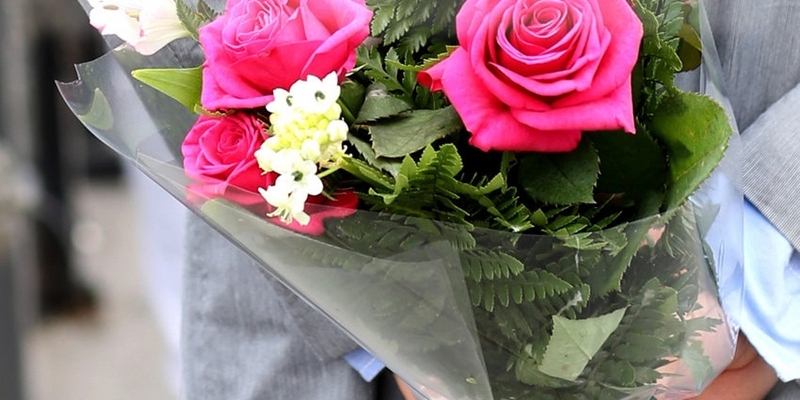 Make her co-workers jealous by sending her flowers to her workplace. Not only are you going to boost her self-esteem, she is going to see your romantic sides when you aren’t around. Similarly, hold her hand in public, it’s the little things that show off your softer side and that you are a proud husband of a lovely wife. You are the man, be the gentleman to your lady. Chivalry and courtesy are dead because you let them die. The little things count when showing that you are affectionate. Hold the door open for her, pull out the chair and don’t give her the chance to be her own man. If you are a busy hardworking man or doesn’t understand how to plan a fancy full course meal, then consider taking her out for all-inclusive dinners for her special day. Many restaurants and hotel offer this service. For one price, it will cover dinner and beverages, along with a pair of theatre tickets. Make elaborate plan easy and still enjoy a memorable evening. Instant recording studio is actually a thing that you can find at the shopping mall. You could be a lyrical genius and sing her one of your originals or records your very own cover of her favorite songs. Grab your buddies together to create the harmony you need to make you sound reasonably less terrible. Or you can just get ballroom music and dance the night away with her in your living room. It is surely a good choice for how to be romantic with your wife. Another cliché, but doesn’t mean she won’t ever enjoy it. Wake up earlier to cook her a full English breakfast. Kisses should be long and passionate. Give her one that will linger on her lips as she go back to doing the chores or off to work.